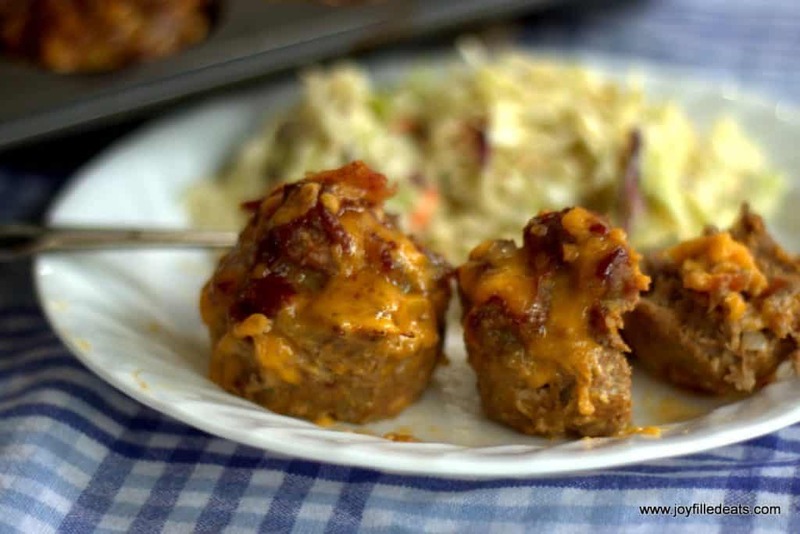 My BBQ Mini Meatloaf Recipe is a great weeknight dinner but they also look fancy enough for a special occasion. They are the perfect size for kids and with bacon and cheddar, they are approved by the ones in my house. 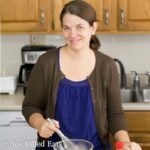 Most of the recipes I create are to please my family at dinnertime. 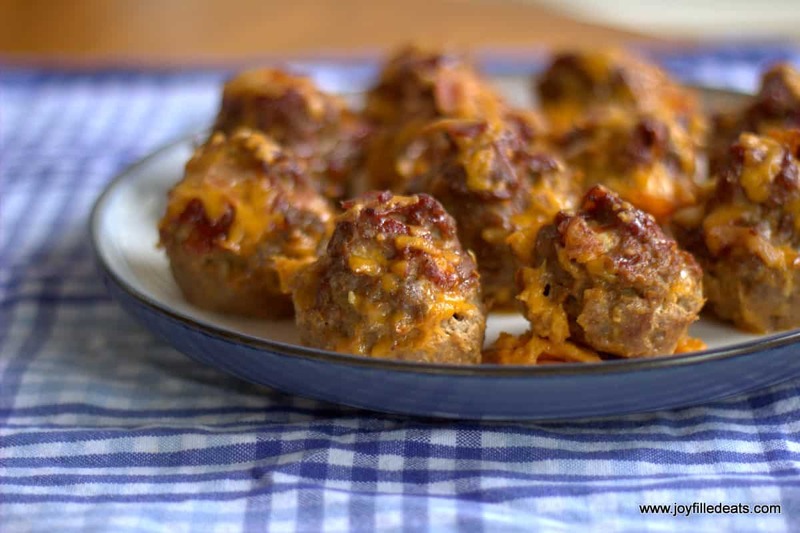 I have 2 kids who love meatloaf and BBQ sauce, 3 who love cheddar, and all 4 love bacon. 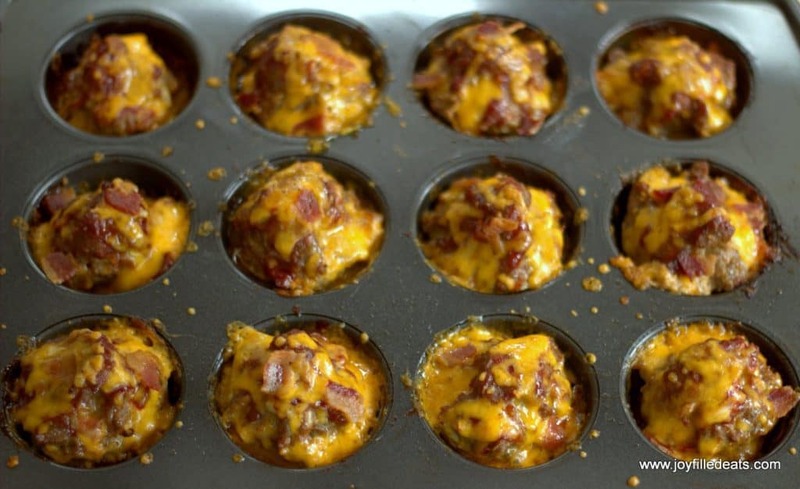 Making a recipe for mini meatloaf in a muffin tin was a popular dinner in my house. Therefore, this is a pretty popular meal in my house. I’ve wanted to try this recipe for mini meatloaf in muffin tins for a while and I finally did tonight. 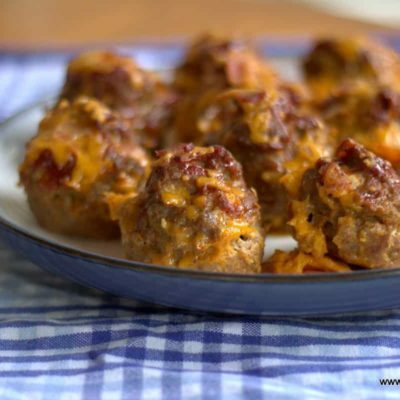 I love these as mini meatloaves because everyone gets a good amount of the barbecue bacon cheddar topping. 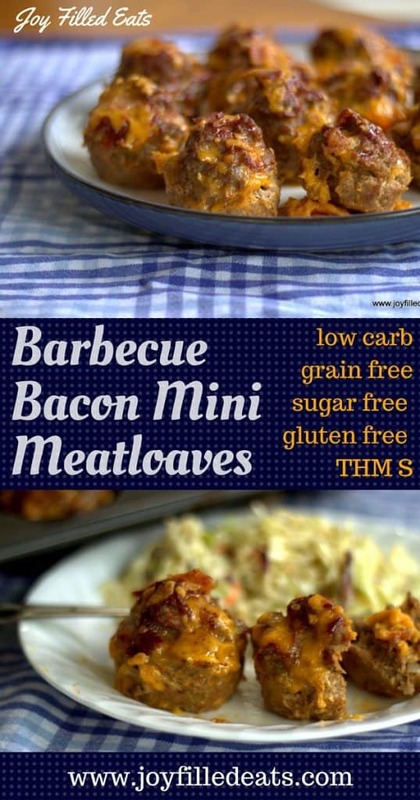 My BBQ Bacon Mini Meatloaf is a great weeknight dinner but they also look fancy enough for a special occasion. They are the perfect size for kids and with bacon and cheddar, they are approved by the ones in my house. Keto, low carb, grain-free. gluten-free. Preheat oven to 350. Combine all the meatloaf ingredients and mix well. Divide into 12 parts and put in the holes of a regular sized muffin tin. Bake at 350 for 30 min. Remove the muffin tin from the oven and drizzle on the remaining bbq sauce. Divide the 2 oz shredded cheddar between the meatloaves. Sprinkle on remaining bacon. Bake for an additional 10 min or until the meatloaves are 160 degrees when checked with a meat thermometer. Serve with extra bbq sauce for dipping. No, it will vary based on the BBQ sauce you use. If you are looking for the carb count the only ingredient that should have carbs is the BBQ sauce. The rest is just meat, egg, cheese, and a small amount of diced onion.